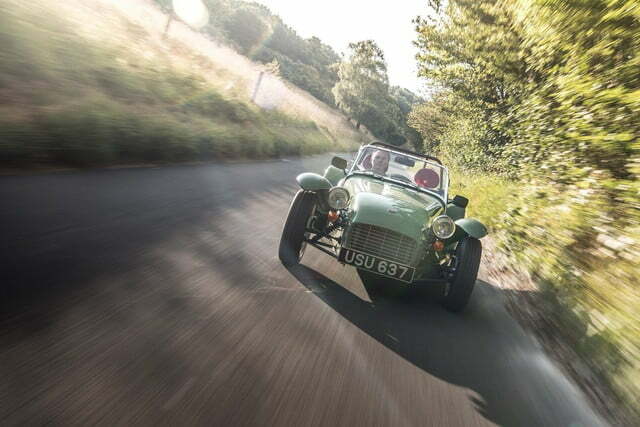 England-based Caterham is celebrating the iconic Seven’s 60th birthday with a limited-edition model dubbed Seven Sprint. 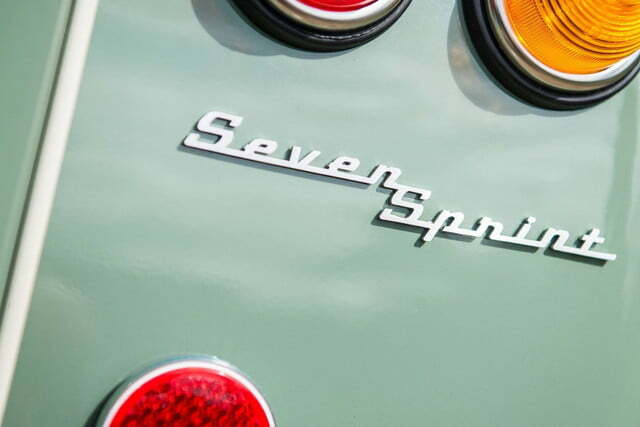 Going retro was relatively simple because the Seven’s appearance has remained virtually unchanged over the past six decades. 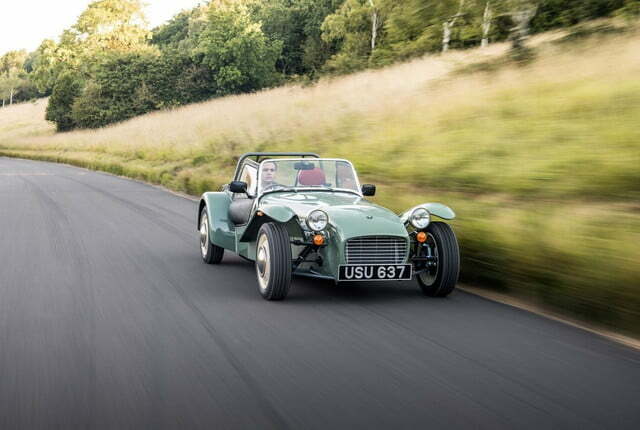 The Seven Sprint is based on the regular-production Seven 160, Caterham’s entry-level model. 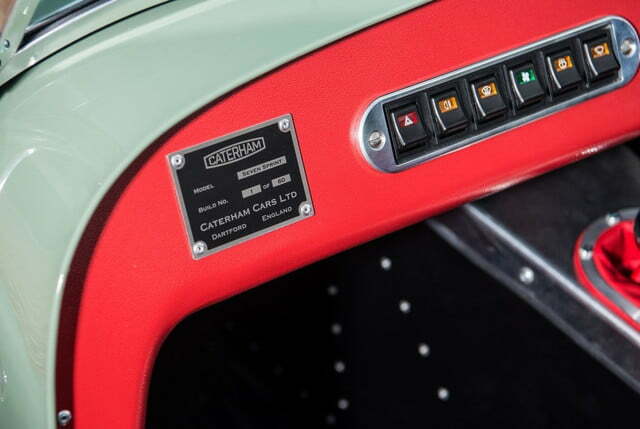 However, it receives a Sprint-specific grille with chromed inserts, cream-colored steel wheels with polished hubcaps, two-piece tail lamps, and retro-inspired emblems on both ends. 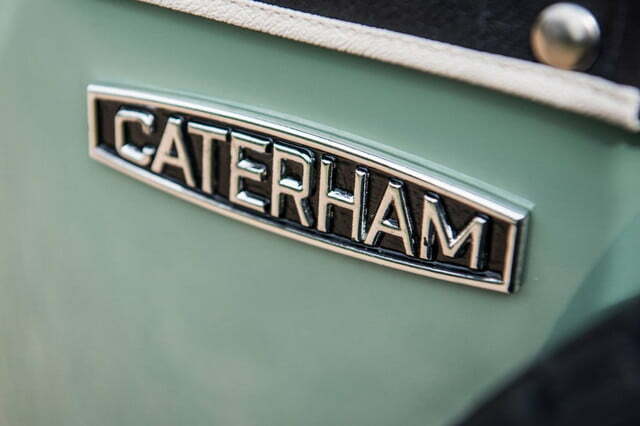 The palette of colors includes six heritage-laced hues called cream, mellow yellow, regency red, Camberwick Green (cleverly named after a 1960s British television show), British racing green, and misty blue, respectively. 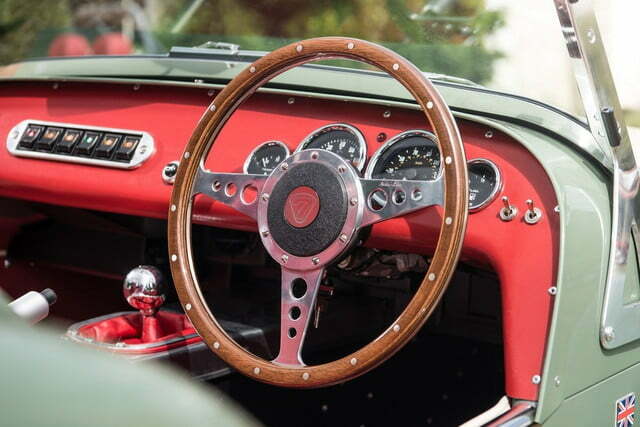 The cabin has been upgraded with a wood-rimmed, three-spoke steering wheel, red leather upholstery, and throwback analog gauges similar to the ones that were fitted to the Seven during the 1960s. Buyers looking for airbags, adaptive cruise control, and A/C need not apply. 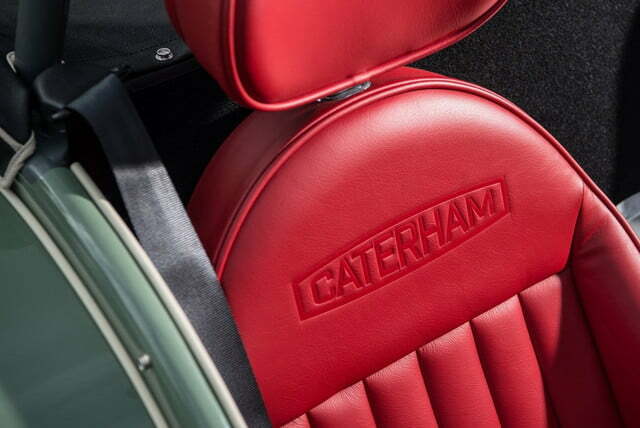 The retro ambiance is only skin-deep; Caterham stopped short of installing a pair of carburetors and ignition points. Instead, power is provided by a turbocharged 660cc three-cylinder engine borrowed from Suzuki’s kei car parts bin and tweaked to produce 80 horsepower at 7,000 rpm and 79 pound-feet of torque at 3,400 rpm. A five-speed manual transmission spins the rear wheels. That doesn’t sound like a lot of grunt, especially not in an era when Dodge is churning out 707-horsepower muscle cars. However, it’s important to note that the Seven Sprint weighs about 1,100 pounds thanks in part to the widespread use of aluminum. It’s consequently capable of hitting 60 mph from a stop in 6.9 seconds, and going on to a top speed of 100 mph. 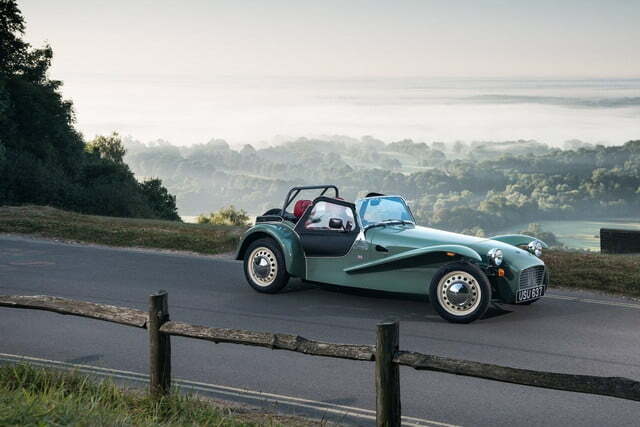 The Caterham Seven Sprint is on sale now in its home country of England and in a handful of nations in continental Europe. 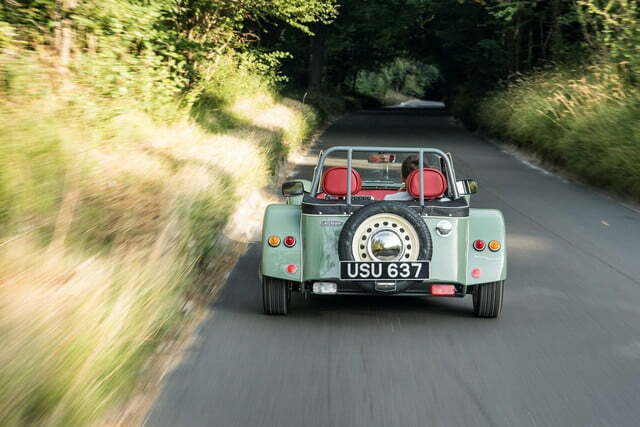 Pricing starts at 27,995 pounds, a sum that converts to roughly $37,000 at the current conversion rate, and it’s only offered as a complete car. Buyers who want one need to act fast, because just 60 examples of the Seven Sprint will be available worldwide.